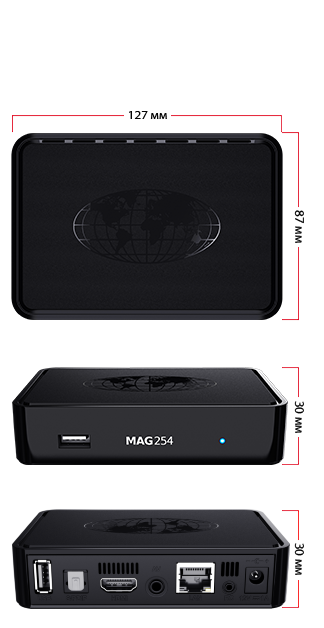 MAG 254/255 W2 is a powerful set top box with STiH207 efficient processor and RAM memory increase, and it is an optimal solution for IPTV / OTT projects. STB have Wifi inplemented in its body. The Set-Top Box is designed to Fulfill Business Projects of Internet Providers, OTT operators and content aggregators. The increased productivity of MAG 254/255 Enables to use resource-intensive applications and interactive 3D video support. Wifi on board.